Catchy is the key with these tunes. Solo synth pop singer/songwriter focused on bass, drum and vocals based in the Blue Mountains writing and recording all her own music. The track was written after a bad breakup, triggered by seeing a cute guy on a cooking show. The song is about finding someone who lights up your whole life, and for me represents freedom and love. It's cute, gentle and was written to represent the lightness of your heart when you've had it broken, but it's starting to mend. A growling, dominant love letter to all the outcasts and outsiders of the world, the song is a more personal offering than Hell In Every Religion. If Hell was an introduction, Estranged is the bold, uncompromising first date, laying Stevie's identity bare. She's an outsider. And she’s cool with that. Wilderglow are an indie rock/ alt rock 5 piece consisting of Matthew Scully, John Sorrentino, Joshua Rasquinha, Adi Durai and James Wingard. My Days depicts a gloomy vibe matched with a storyline based the character in subject yearning for a break. Mixed with love and other streaming emotions it makes for a great story teller of what could of been or what could be. Armed with velvety vocals and brutally honest lyrics, Hannah Rosa is an indie pop artist developing a reputation for delivering goosebump-worthy performances. Featuring shimmering synths and velvety vocals, Hollow signals a new chapter for Hannah. Inspired by Kimbra, Julia Stone and Lorde, Hollow blends together pop, folk and electronica. Brought to life by producer Konstantin Kersting (The Jungle Giants, Mallrat) and additional production by Tristan Hoogland (Golden Vessel, Woodes) and Jarryd Shuker (Art of Sleeping), Hollow is a true labour of love. Jodi Phillis is an ARIA nominated singer/songwriter/composer who first made her mark on the Australian cultural landscape with alt-rock band The Clouds. A feel good song, encouraging listeners to grab their life by the reins and give it everything they’ve got! After a life of reading spiritual texts, listening to wise words, making mistakes, moving on, meditating, not meditating, Jodi has distilled what she has learned and turned it into a song. Hailing from one of the world's most isolated cities; Western Australia, Teischa spent her youth living in Thailand, leading a nomadic lifestyle which has offered her a truly unique perspective. "Haunt Me is about moving on and finding closure within yourself to let go of the lingering memory and feeling of a person once they are no longer in your life” says the 21 year old, explaining the autonomous nature of the lyrics in the single, produced by friend and collaborator, Sydney multi-instrumentalist SAKR. Tobias Hengeveld delivers thick, angular pop hooks, and melodic twists around stories told with wry candour. Separation Street is a soulful, shuffling take on how places in your hometown still echo loud with memory, and map the big events in your life. A Thousand Flamingos brings together powerful pop melodies, chorus soaked guitars and synthetic soundscapes evocative of a certain decade. The song features dynamic lead vocals drawing influence from artists such as Kate Bush, Sky Ferreira and Samantha Urbani. Visionary Electronic Indie Pop. Indigenous singer song writer/producer with original melodies, unique instrumentation and distinct vocals. Fresh! Electronic pop with lush vocals, harmonies and distinct hooks. Written from the perspective of a young person, the song depicts the importance of forming relationships with peers - one that doesn't judge or criticise, is caring and allows for that person to be provided with a chance, when all other roads seem hopeless. Ms.45 is the brainchild and alter-ego of arcane pop chanteuse Ella Jackson (formally of Crimsonettes). Described as "Massive Attack meets Patti Smith" to "the goth Taylor Swift", Ms.45 is genre-defying. Ms.45 wrote ‘Til We Meet Again as the theme to an imaginary dystopian James Bond film. Slow and moody, this song marries trap-inspired drum beats with soaring guitar and cinematic strings. Recorded and mixed at Phaedra Studios with John Lee (Lost Animal, Totally Mild). An electronic duo of producer Terry Man and vocalist Bella Li - intensity and detachment; robotic but human; current yet nostalgic... Orlean marry polar opposites into sophisticated pop gems. "You're Not There" bubbles to the surface with keys like rain-drops. The soft vocals are paired with drum production more commonly found in trap. Thematically, a lover tries to penetrate, or understand the black dog of depression their partner suffers from. They're not sad.. they're not feeling anything at all - all the harder to relate to. Subtle yet devastating, Essie Holt reveals a different side to her songwriting on new single ‘Distant Places ft LANKS’. Based across Melbourne and Sydney, the core of Haiku Hands is Claire Nakazawa, Beatrice Lewis and Mie Nakazawa. Their influences range from hip hop, electronic to dance and everything beyond. “Squat is an instruction manual for people who are too self-conscious, but hidden inside them is an ability to tear up the dancefloor.” Born from a Sydney warehouse party where True Vibenation's Vuli was DJing an early sketch of the track, Haiku saw the infectious potential of Squat, which explodes with a huge and undeniable dance rhythm. Kiwi R&B/Pop/Soul artist from Melbourne. FIND ALL OF HER RELEASES ON ITUNES, SPOTIFY AND GOOGLE PLAY! This song is written about my own personal experiences, where I have needed to build courage and confidence within myself to overcome the negativity that was or is present in my life. Through this, it has nurtured my resilience and inner strength. Stronger identifies building strength and courage in our past, the present and the future; I'm gonna get stronger! Karalee Alice is a 17 year old singer/songwriter with a passion for singing and story telling. Her debut album "Queen of Hearts" is a soulful collection of emotional compositions. With soaring vocals, lush harmonies and layers of instruments. This track depicts both sides of the story when it comes to the end of a relationship. Inter dimensional cyber-soul exponents Cool Explosions are a mesmerising new 3-piece to emerge from Melbourne’s burgeoning indie-electronic & future soul scenes. Runaway is the most recent offering from the emerging powerhouse songwriting partnership Vehl/Young. Restless and unrelenting, ‘Runaway’ is both an impulsive cry for escape, & an uneasy acquiescence that such a solution is ultimately no solution at all. Elle Young’s effortlessly soulful vocal keens across a tumbling scroll of marbled FM samples, amidst a volatile barrage of dam-breach drumming by rising drum star Alex Roper. 'Be With Me' is a song about not knowing if you can be without someone and if you will be the same person. The song is encompassed with a groove pulsing throughout surrounded by a layer of guitars and synths. Sydney-based rock trio, the Saba Brothers, have just released their new single Life’s A Journey. With this latest track, a self-reflective, raw and heartfelt meditation we can all relate to, we get a taste of the more eclectic side of the band. It’s subtle yet refreshingly powerful. 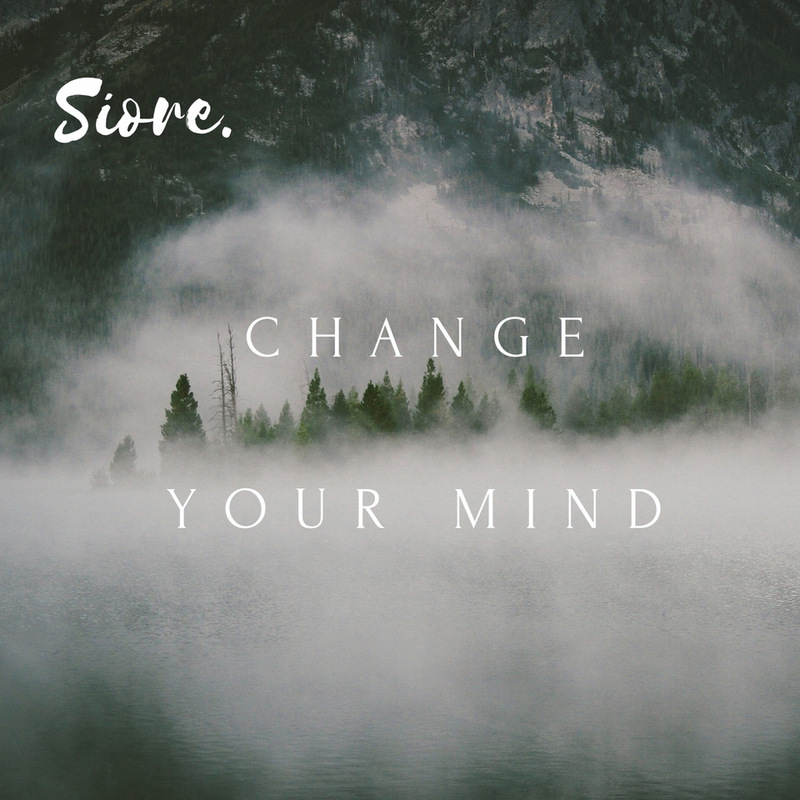 Melbourne duo SIORE, have released Change Your Mind, the second single from their forthcoming EP. Change Your Mind draws attention to mental health in the music industry and hopes to shed light on the stigma surrounding it.